I needed some “special” monsters for my players to face in my Celestial Winter campaign so I ordered a set of Shadow Hounds. I have several translucent miniatures but this is the first time that I’ve painted one and it was a learning experience. There are definitely some cool effects that can be done with drybrushing or a well positioned dab of paint, alternatively it’s a lot harder to recover from mistakes when you can’t just paint over them! They also don’t soak up the paint quite as well as the standard “Bonesium” miniatures so smearing and streaks were more of an issue. I only painted a few areas on these. Metallic red for the eyes, a dark blue drybrushed on for patches of fur, and metallic white for teeth/claws. I wanted to preserve the translucent effects of the base material while bringing out a few details of the sculpt. Originally I was going to add more detail to the mouth – such as painting the tongue – but I found that just painting the teeth made the miniature feel threatening enough. Hopefully it plays into that primal fear of being eaten. Per usual, I coated it with polyurethane and then a spray on matte finish. One cool effect of the translucent material is that the red eyes show through the top of the head. This gives the eerie illusion when viewed from above that the miniature is watching you. This wasn’t intentional on my part but I was thrilled when I noticed it. 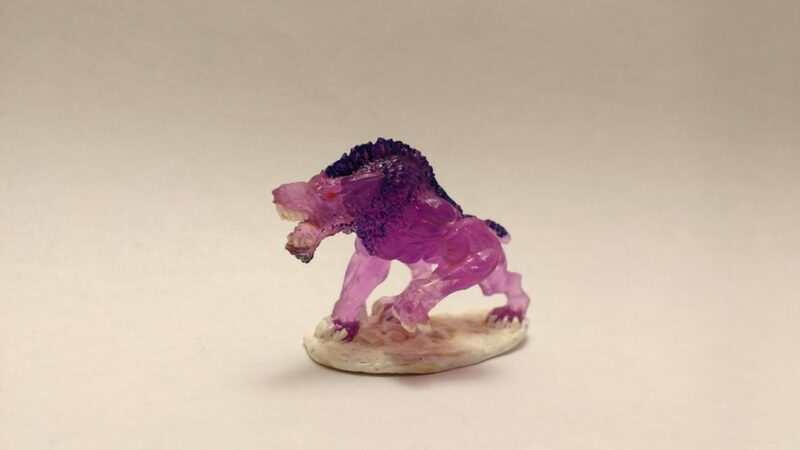 I have been working with translucent miniatures as of late, but you got a completely different effect using more contrast. I’ll have to take a page off of your book when I get to paint some translucent fiery minis I have lying around. Thank you! I’m really pleased with how they turned out. 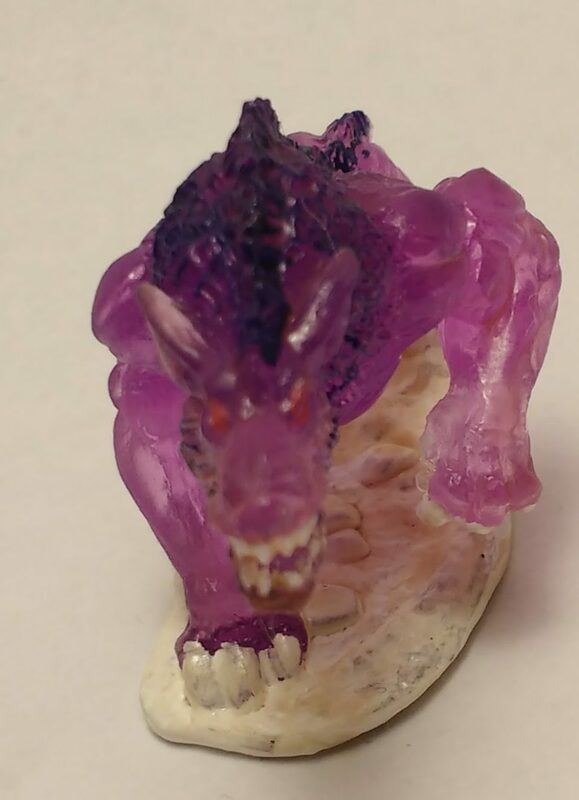 They inspired me to buy some more translucent miniatures from Reaper – the Shadow Demons – but I’m still trying to decide how to paint them.